From the Manhattan Project, an interactive history website through the Department of Energy. Students study the Navajo contribution to the United States during World War II while following the story of the Ned Begay as he starts out at a boarding school and later becomes a U.S. Marine who learns the Navajo Code. Students will learn how Ned's background and culture helped him survive and become successful in his education and his experience as a Marine. Grade 4. Students discover the role Navajos in World War II. Students study historical aspects of reservation life, read maps to gain understanding, and apply geography to an historical event. Grade 4. The Aleutian World War II National Historic Area and Visitor Center in Dutch Harbor, Alaska, preserves the historic Fort Schwatka on Mount Ballyhoo. US Servicemen fought the Japanese here. At the same time, the local Unangan people were sent away from the area to internment camps a thousand miles away. From The History Place™ - World War Two in the Pacific. Albert Einstein wrote a letter to President Roosevelt on August 2, 1939. The letter culminated in the bombings at Hiroshima and Nagasaki. 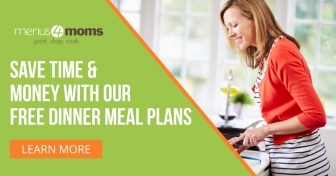 This is a four lesson unit in which each lesson plan is designed to stand alone. Students are given a comprehensive approach to U.S. involvement in World War II. Black fighter pilots who fought during World War II against the Germans. Racism in the Inited States required these men to serve together in an all black unit. A National Historic Site that commemorates the WWII Minidoka War Relocation Center in Idaho. The website offers historical information about the relocation center for those who cannot visit in person. In 1942, the United States government ordered more than 110,000 men, women, and children to leave their homes and detained them in remote, military-style camps. Manzanar War Relocation Center was one of ten camps where Japanese American citizens and resident Japanese aliens were interned during World War II. The website offers historical information about the park for those who cannot visit in person. Preserves and interprets the stories and places of our nation's home front response to World War II. Largest Homeland Disaster during World War II. Reservations are required to visit this location. The website offers historical information about the park for those who cannot visit in person. During WWII, women signed up to fly with the US military. The Women Airforce Service Pilots (WASPS) test-piloted aircraft, ferried planes and logged 60 million miles in the air. 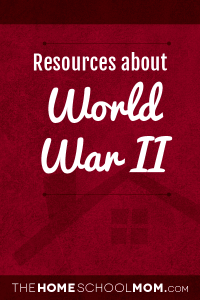 A free field trip guide to 450 sites across all 50 states that help families learn about World War II.